Overtime is a premium pay that compensates employees for working more than 44 hours a week. In Ontario, the rules regarding the payment of overtime can be found in the Employment Standards Act (2000). These rules do not apply to federally regulated industries, like, banks or airlines, and there are exemptions for certain other kinds of work. For the most part, however, employees must receive 1.5 times their regular rate of pay for all hours worked that exceed the threshold of 44 hours of work on a weekly basis. If an employee has an employment contract that sets out the number of hours to be worked every week, overtime pay is due for every hour worked in excess beyond the threshold. For example, an employee with a contract for a 40-hour work week will receive 1.5 times their usual rate of pay for every extra hour he or she works over 40 hours. Managers and supervisors are not covered by the overtime rules, but there are very strict definitions concerning who qualifies as a “manager.” In order to be exempted, the worker must perform exclusively managerial or supervisory duties and only do other work on an exceptional basis. Even if the employee is only required to do non-supervisory work for one hour a day, the position cannot be excluded from overtime as that work is performed regularly. For instance, the store manager who also works at the counter over the lunch hour every day would be entitled to overtime if they worked for more than 44 hours in a week. Calculating the “usual rate of pay” depends on whether the employee works a fixed number of hours a week. If an employee is paid a fixed amount every year but has fluctuating work hours, overtime would be payable after 44 hours. Divide the annual salary by the number of pay periods to ascertain their weekly salary, then divide that number by 44 to arrive at their hourly rate of pay. The employee is entitled to 1.5 times this amount for every hour worked in excess of 44 hours in a week. If an employee has a usual work week of under 44 hours, they receive their normal hourly rate for all hours worked up to 44 (on top of their regular pay), then a 1.5 rate of pay for anything in excess of 44 hours. If an employee earns a combination of wages and commission, the commission portion must be included in calculating the overtime rate. Add together the total amount of wages and commissions that the employee earned for the first 44 hours in the week. Divide that amount by 44 to ascertain their hourly salary for the purpose of calculating overtime. Some employees earn different rates of pay for doing different jobs. Their overtime payment must be based on the job they were doing while performing the overtime. For example, if an employee makes $14 an hour as a cashier and $12 an hour stocking shelves, they must be paid $14 x 1.5 for every hour of overtime if they were working as a cashier for at least 50% of the overtime hours. 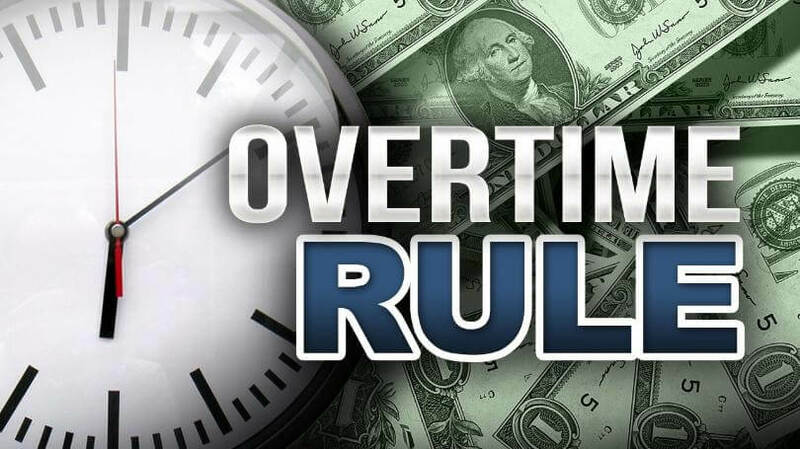 Finally, overtime may be banked as time off in lieu of payment if both the employer and employee agree to this arrangement in writing. In such cases, the employee would receive one and a half hours of paid time off for every hour of overtime worked. The time must be taken within three months of the week in which it was earned, or within 12 months if the employee agrees in writing to this extension. Contact us today, for any question, clarification about your work rights.